Getting the finest in service for your window treatments is the key to long term success. This means you can make choices that you will love, for years to come. It also means that the workmanship invested into the services you receive will be topnotch. Which is why savvy local homeowners know the name to call on in Sweet Shutters and Shades. We are dedicated to our industry, as well as our customers' satisfaction. There is a big difference between an aggressive salesperson trying to talk you into the overstock in their warehouse, and the personalized and quality care you will receive from us. We want to be you go to shutter company for Pineville window treatments. Unsurpassed privacy and light control. No other window treatment offers the same degree of ability to gain light and privacy control. Shutters offer an attractive appearance, enhancing both the interior design aesthetics and the exterior curb appeal. Quality shutters offer a great deal for increasing property value. So do not think of this as an expense, think of is as a wise investment. Shutters are also considered low maintenance. They are not difficult to clean, are sturdy and can be repaired relatively easily. This type of window dressing is also a good choice for sound and thermal insulation. The bottom line is that our team of experts can help you gain a more thorough comprehension of the options you have available, and the benefits of each. Selecting the perfect window covering is about a lot more than just appearance, although that helps too. 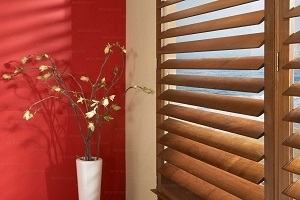 For the best in window blind company services, you have certainly come to the right place. Sweet Shutters and Shades is the local leading service provider, and for plenty of good reasons. Now, we look forward to working with you and taking care of your window treatment service needs.